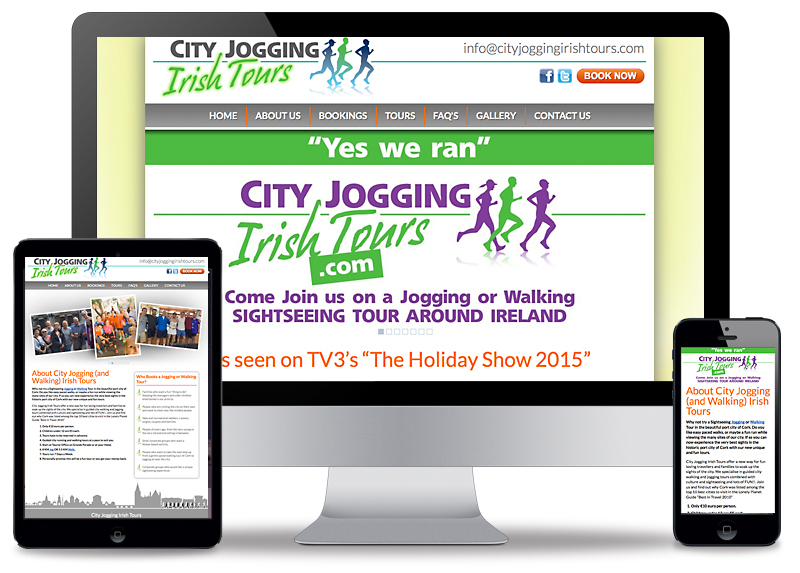 City Jogging Irish Tours offer guided jogging and walking tours of Cork City and attractive areas within Cork county. There are a number of ready planned tours or you can custom design your own tour. Bookings can be made on the website. The website design is mobile responsive so views well on the mobile platform whether it's a tablet or mobile phone. Alongside the website I also designed the marketing material which consisted of the logo, stationery, leaflets and signage. The design consistency across this material really strengthened the overall brand.